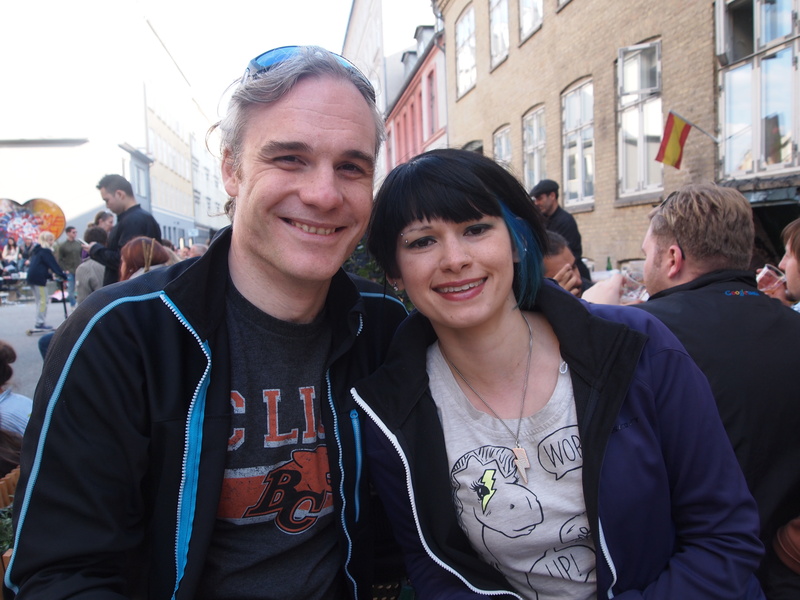 As you may have noticed if you read my post about my most recent beery adventure, I did have more than a few amazing beers at the Copenhagen Beer Celebration but during my time in Copenhagen I was pretty spoiled with the two Mikkeller bars in the city. The day after the festival was an extra cause for celebration; the original bar in Viktoriagade was turning three years old which meant a fabulous street party where everybody was invited. As could be expected, the party turned out to be pretty popular, especially since a great many of the beer geeks who had turned up for the festival were still in town, including the super-blogger behind Oh Beery Me and Tyne and Beer, Sheriff Mitchell with his super lovely partner in crime Minke Wales as well as Mr Rock N’Roll Beverage himself, Landells. I had thus far managed to never cross paths with any of these Twitter chums in our own country oddly enough so it was pretty cool to finally meet them and share a drink or two! I didn’t mind braving the queues in the bar since I’ve marveled at so many Twitter snaps of the chalkboard – it actually felt oddly familiar! 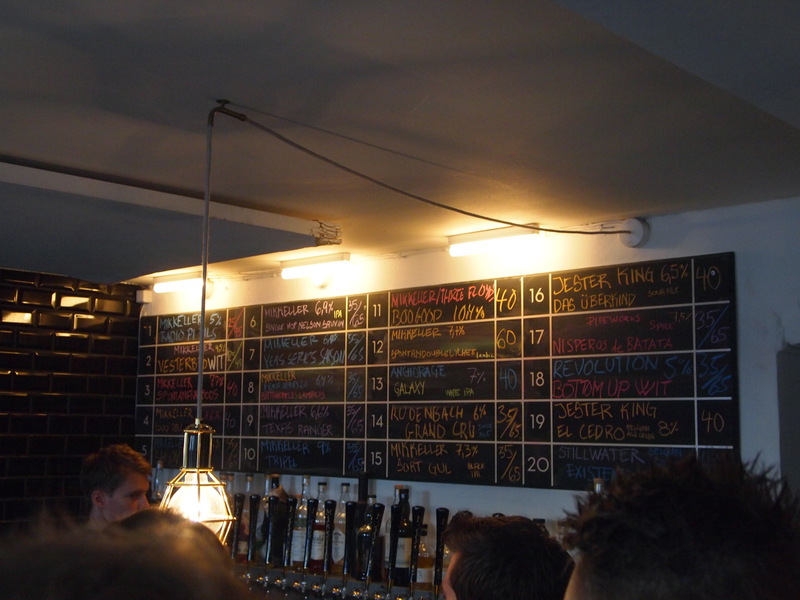 .The bar was pretty much everything I expected – cozy, modest but shabby-stylish. There was a tinge of bad memories from CAMRA festivals as I was overlooked a number of times whilst waiting to be served in favor of pushy older men, but the crowd was mostly friendly folk from all kinds of places. On the bar, alongside the various Mikkeller there was also a decent selection of guests including the delicious Pipeworks Nisperos De Batata, a pumpkin beer which took me right back to all those lovely ones I was lucky enough to try in Vancouver.I also tried my first ever beer from Sweedish brewers Narke Kulturbryggeri, the Imperial Double Porter collaboration with Norway’s Haandbryggeriet, Unionöl recommended by a very proud Swede I was queuing with. It wasn’t all queues at the block party – rather thoughtfully there were also kegs of Mikkeller refreshment available outside. The crowds were tearing through the beers so quickly there was a new one on pretty much every time I looked and drinking vessels ranged from regular festival plastics, through to Danish flag plastics and finally some white coffee cups they turned up from somewhere Thankfully, with all this awesome beer available, there was plenty of superb food available. The barbecued, crispy-skinned hotdog was the best I had during my stay (and I had a lot of hotdogs over there) but a special shout-out goes to the cheese. 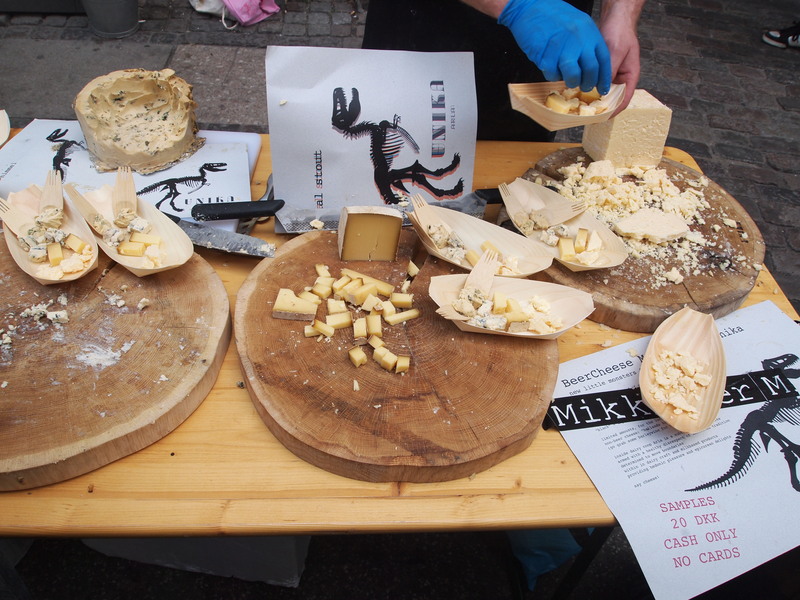 Oh my goodness the cheese the beery Mikkeller cheese. I almost weep thinking about the fact that I only had one tray – I look back with regret that I didn’t run off with the lot. We had an apartment hotel – we had a fridge. OK I also had a tray at the festival the previous day. Best beer festival food ever. If this makes a return next year, it’s worth the trip!